One of the most successful screenplay writer duo Salim-Javed came up with many blockbusters in the 1970s. One of them was Ramesh Sippy's Sholay (1975), which went on to become a cult film. Salim Khan fondly looks back at their most popular work, and shares some interesting notes about the film. Growing up in the dusty town of Indore, Madhya Pradesh, Salim Khan never imagined he would end up being a writer and a superstar writer, at that. At first, he dreamed of being a cricketer, then a pilot. Eventually, he landed in Mumbai to act. After starring in over 20 films, he called it quits. "If I had acted any longer than I did, I am sure Dilip Kumar and Marlon Brando would have been out of business," he joked. It was his last vocation -- screenwriting -- that would truly establish and seal his reputation. He turned to writing, because as he puts it, "I thought if I knew two per cent about scripts, the second best didn't even know one per cent. I had a lot of material to be a good writer." With Javed Akhtar for an ally, Khan penned such blockbusters as Zanjeer, Deewar, Trishul, Don and Mr India. But it is Sholay that made Salim-Javed immortal. Here, Khan takes us through the most memorable moments behind the making of Sholay, arguably one of Indian cinema's greatest movies. The idea for Sholay, in all honesty, stemmed from Khan's fascination with the Western classics, especially The Magnificent Seven, The Five Man Army, Once Upon a Time in the West and The Dirty Dozen. Salim-Javed managed to fix up a meeting with the Sippys after a long wait and narrated two ideas -- one was Majboor, which they later sold to producer Premji. The other was a four-line idea of a film which would eventually become Sholay. "We got more money for Majboor than Sholay," says Khan, "Rs 2 lakh and Rs 1.5 lakh respectively. 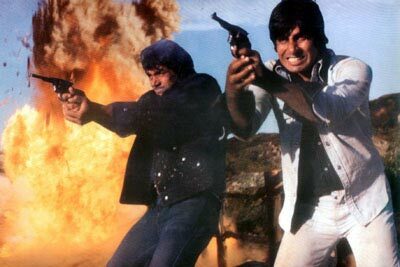 "The casting of Sholay was more or less finished even before the release of Zanjeer," he adds. It was Salim, known to the younger audience as Salman Khan's father, who recommended Amitabh Bachchan for Jai's character. "When we recommended him to the Sippys, it was met with some opposition," he reveals. "We then held a trial of Zanjeer and convinced them to cast Amitabh because we felt he was perfect for that role." Salim-Javed had a lot of confidence in Sholay -- or Angaaray, as it was titled earlier. "We knew we were writing something special but we couldn't point out exactly how big this would be. The kind of money that was spent on that train sequence alone, I think an entire film or two would have been made in that budget," Khan says. Recalling his early faith in Sholay, he says when the trade magazines declared it a monumental flop, Salim-Javed were compelled to release an advertisement in Screen to set the record straight. "We mentioned in that advertisement that Sholay will make Rs 1 crore in every territory but it surpassed our expectations. It made a lot more than that." Much of Sholay's inspiration came from Khan's own friends and incidents that happened to him. Consider this: Jai and Veeru were named after Khan's college friends, Veerandar Singh Bias, son of a jagirdar at Khajrana Kothi, Indore and Jai Singh Rao Kalevar, a Pindari warrior and vegetable farmer. Both have passed away. 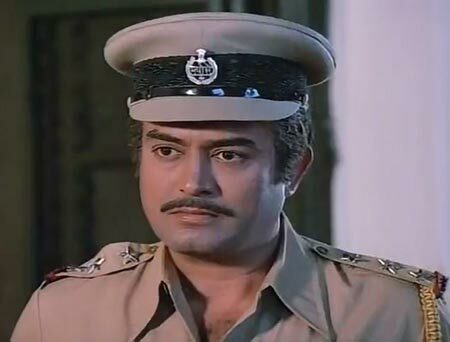 Thakur Baldev Singh (Sanjeev Kumar's Thakur) is his father-in-law's name (wife Salma's father). A dentist by profession, he still has a clinic in Mahim, suburban Mumbai. 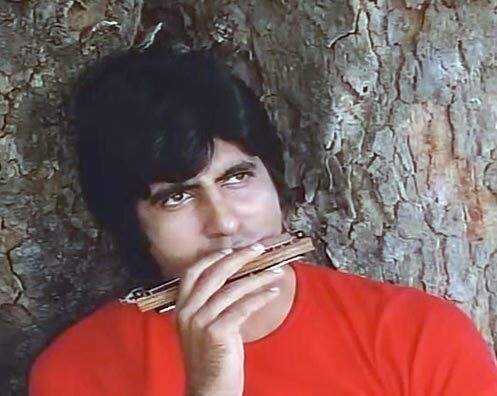 It is too well-known by now that Danny Denzongpa was considered for Gabbar Singh and even Sanjeev Kumar and Amitabh Bachchan had expressed a keen interest in playing the iconic dacoit. It was Javed Akhtar, who had proposed Amjad Khan's name after having spotted him and his brother Imtiaz in the play Ai Mere Watan Ke Logo in 1963. Amjad had acted in a few films before but Sholay was his first major billing. While writing his films, Khan relied on screen classics that he had seen as a young man. A crazy James Dean admirer, he says with a laugh, "During my younger days, I had this misconception that I was James Dean. Bohot galat faimi thi." Influenced as he was by movies such as The Big Country, Written on the Wind and Garden of Evil, Khan discloses how Jai's coin-flipping trick was directly adapted from the Gary Cooper starrer, Garden of Evil. In that film, Gary Cooper and Richard Widmark draw cards to decide who will leave and who will stay behind to fight off the Apaches. "I had a good memory and would draw from my own movie-watching experiences. I don't believe in the idea of originality. Nothing is original," he says. The comic scene in which Bachchan meets Basanti's (Hema Malini) mausi with Veeru's marriage proposal was drawn from a conversation Khan had with Honey Irani's (Javed Akhtar's then to-be wife) mother. It was, in part, influenced by the famous Half Ticket (1962) scene in which Kishore Kumar paints a terrible picture of his own self to scare off a pandit who arrives with a possible alliance for marriage. What you MUST know about Pakistan's first Oscar star!